Paldor Base Camp Trek is probably closest Base Camp trek from Kathmandu in Ruby valley of Ganesh Himal region. This virgin and freshly promoted trekking destination is proposed for new adventure seeker in Nepal. The area is a remote venture into the wilderness up to the altitude of 4200m. Ganesh Himal Singla Pass Trekking offers astonishing views of Ganesh Himal massif, Annapurna range, Manaslu range, Langtang range, Lamjung Himal, Himalchuli, Shringi Himal, and many other mountains and peaks around there. Close-up view of Langtang Lirung (7245m), Dorje Lakpa (6989m) and crossing Ganjala Pass at 5122m with the views of Jugal Himal, Sanjen Himal and all the mountains around Ganesh Himal give the life- memorable adventure experience. Paldor Base Camp to the base of Paldor Peak (5903m) in Ganesh Himal range at the elevation of 4980m. Trekking in this trail is also experiencing a wide diversity of singular wildlife and birds including endangered rare animals like Snow Leopard, Red Panda, Wild Yak, Himali Thar, Musk Deer, Wild Boar and more than 300 species of birds and natural lives. The region is also supposed habitat of mysterious creature Yeti which is mysterious and unjustified till now. 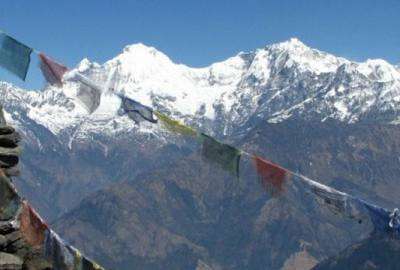 Ganesh Himal Paldor Base Camp Trek typically covers Gorkha and reaches to the foothill of Paldor Peak. Trekking in this region offers untouched Tamang cultures who are the generation of Tibetan ancestors. Monasteries and chörtens give spiritual insight during the trek. The region is cultivated by Tamang, Gurung, Magar, Chhetri and Brahmin ethnic in the lower part where visitors can explore while trekking through the settlements. The life and activities of hill side people are interesting for the visitors which vary from settlement to settlement. Wilderness Excursion proposes a new lifetime venture package trip to Paldor Base Camp Trek in Ganesh which is believed to be something different those who look for fresh and less affected areas by cloud of tourists. This uniquely area adventure trek in Ganesh Himal region. Itinerary 01 – Short and teahouse or home stay trek. Day 01: Kathmandu to Syabrubesi (1470m) by local bus. Day 02: Trek to Parbati Kunda via Gatlang Village. Day 03: Trek to Machet via Sing La Pass (3940m). Day 04: Trek to Pangsang (3800m). Day 05: Trek to Somdang (3270m). Day 07: Trek to Paldor Base Camp . Day 09: Trek to Pangsang (3800m). Day 10: Trek to Sertung Village (1940m). Day 12: Drive to Kathmandu by local jeep. All airport transfers by private car or van as per group size. Government registered and well experienced local trekking guide. Assistant guide if the group size more than 6 pax. Basic lodge and tented accommodation during the trek. Accommodation. meals and transportation in Kathmandu. Guided and sightseeing and monumentas entrance fees.